Ben Freeland learned that the Cree calendar divides the year into six seasons. So he wondered why we don’t revive the calendar here in Treaty Six territory. 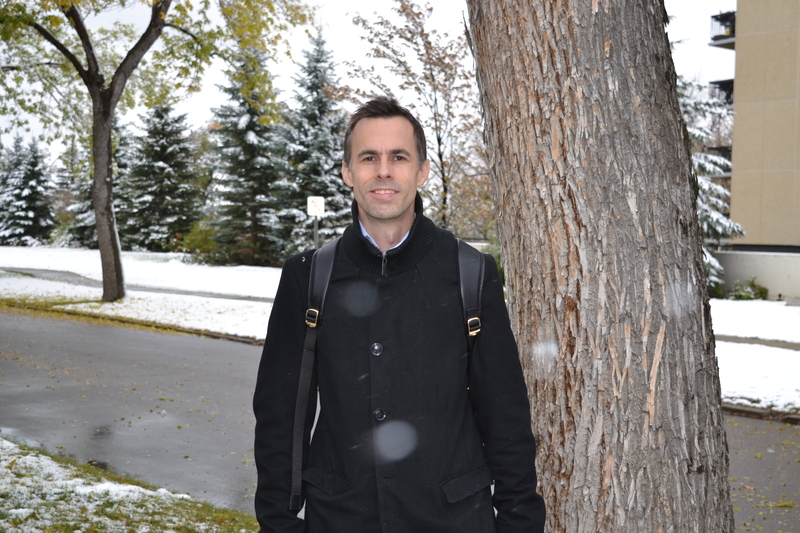 Ben is a member of Taproot Edmonton, and he posted his question on the story garden over there. We helped Ben explore that question by speaking with Cree teachers Yvonne and Norma Saddleback. Just this once, free to read along as you’re listening to this episode, since it introduces some new vocabulary. Norma Saddleback and Yvonne Saddleback are both Cree syllabics teachers and members of the Samson Cree First Nation. 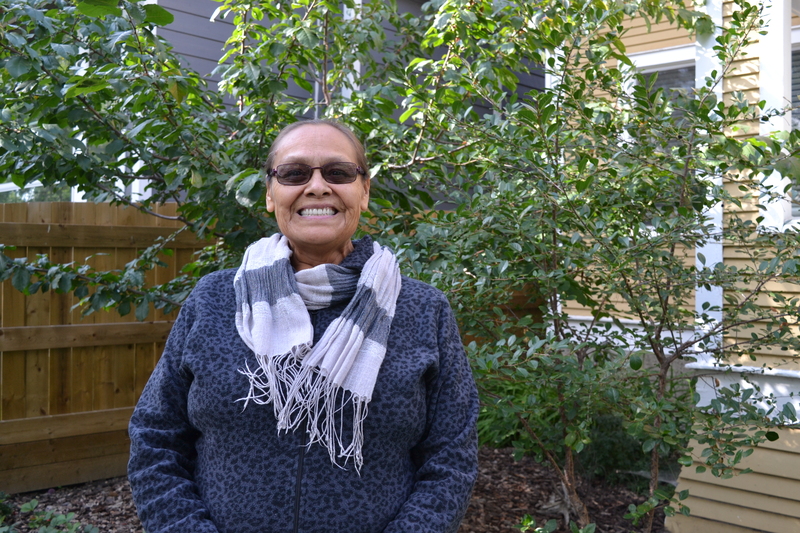 Norma teaches elementary students at schools around the Maskwacis reserve, and Yvonne teaches adult university and college students. 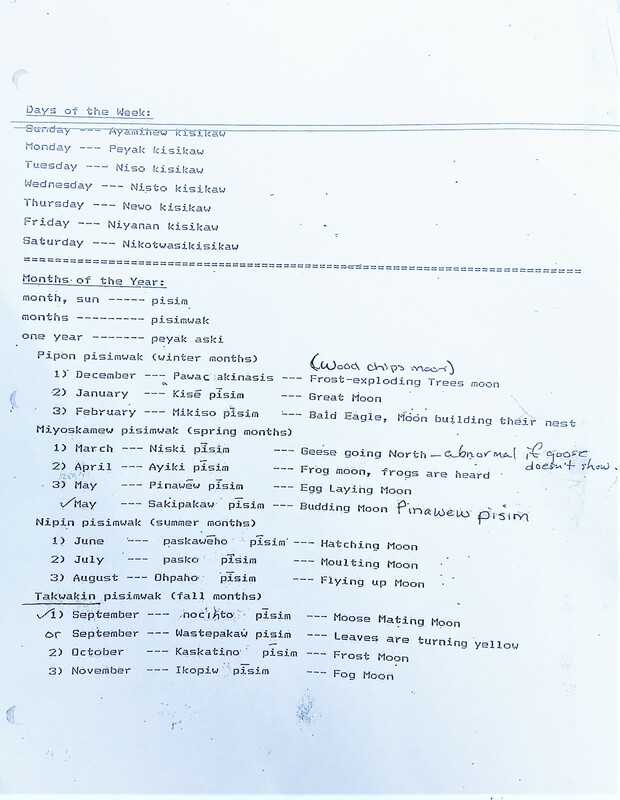 Norma shared an instructional sheet she uses to teach the months in Plains Cree. Loved this episode — and am excited to hear more of this podcast! It’s beautifully put together and I learnt so much. Thanks! Thank you for listening! Glad you found it an illuminating journey. We did too.